Bettye Poole, Conference Committee Chair, is a retired educator from her school district in Evansville, Indiana. She still volunteers her time to mentor unaccompanied youth in her District. 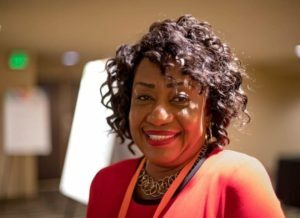 Bettye serves as Executive Board President for the University of Evansville African-American Alumni Association. She serves on the Board of Directors for the Southwestern Behavioral Healthcare Organization. Bettye also assists with a community tutoring program held in her Church. She holds an Associate Degree in Mental Health, a BA in Liberal Studies, an MS in Public Service Administration, and is also a Licensed Real Estate Agent. Bettye is married with 3 daughters and 7 grandchildren. In her spare time, Bettye enjoys reading and spending quality time with her family.